We are surrounded by technology all the time but sometimes it is nice to just sit and flip through a physical, handheld book. Connecting people and their thoughts, starting conversations and building eternal bonds; don’t just store your books, decorate with them! 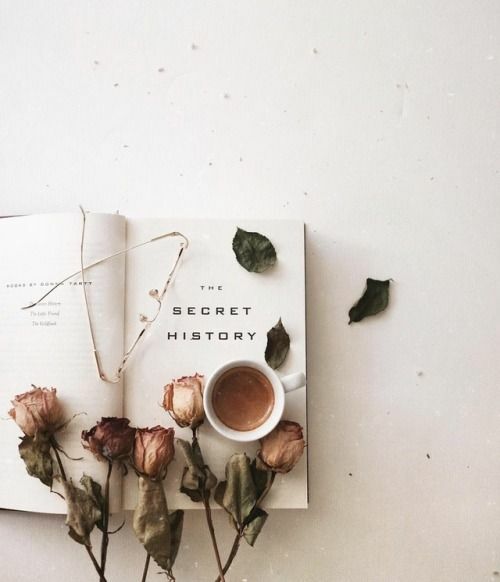 As you expand your collections - glossy coffee table books, novels and cookbooks -you may find yourselves struggling to find a home for them all. The obvious solution is bookshelf, but why go with the obvious, when we can have a little more fun? Continue reading to find out how you can add a unique style to your home with books as décor pieces. A stack of sturdy, large volumes is all you need to create a casual corner nook or to turn books into a creative furniture piece. 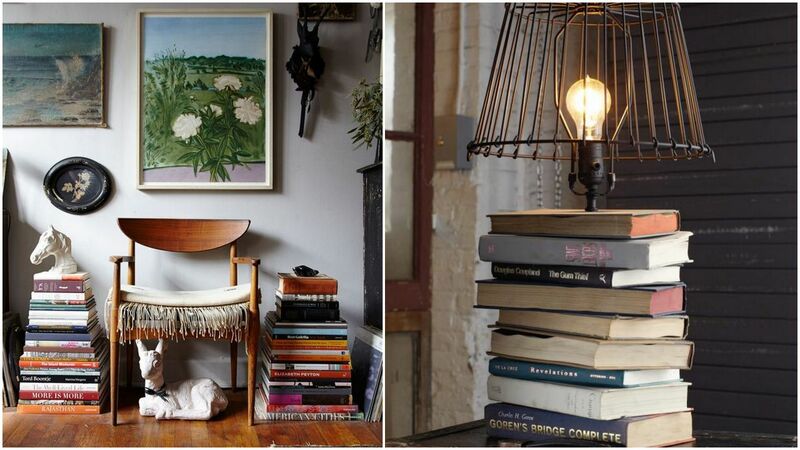 Book towers are fun additions to casually designed and boho-chic spaces. Placing a plant, picture frame or lampshade on top can really amp up the quirky and fun quotient level of this ensemble. You don’t have to simply figure out ways to store your book collection among your existing room design. Why not make them part of the design? 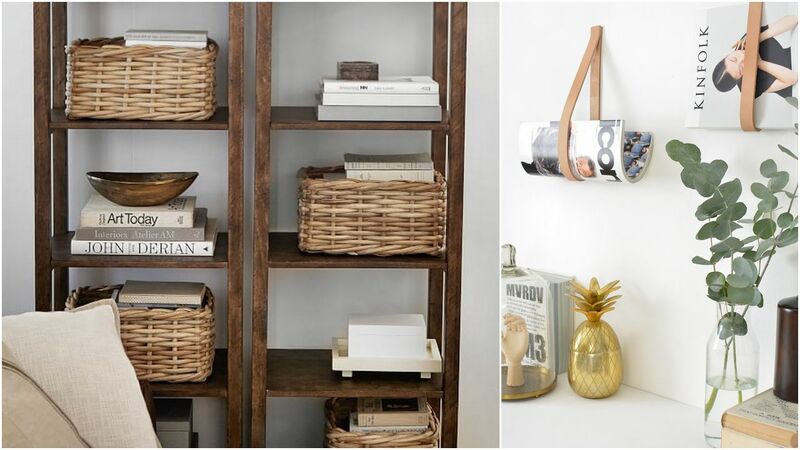 Arranging the books in a shelf is too mainstream; instead look at jute/ wicker baskets, wooden crates and metal buckets as book storages for a more rustic and refreshing décor that looks right out of a movie set. Prepare your books to fly off the shelves and hold them together, while giving your décor a new piece of accessory, with Bookends. 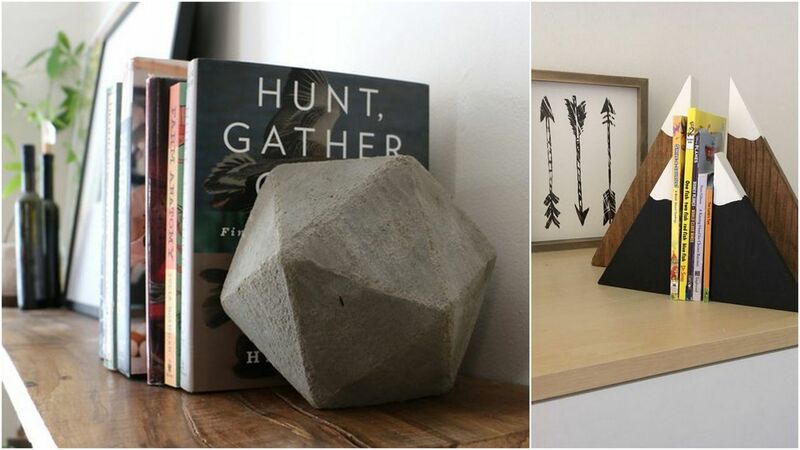 From geometric shapes, to industrial beauties; from metallic imaginations to tales from mother-nature; you will be surprised to know how varied book ends shapely add flair to your book collection. De-clutter with neat piles... 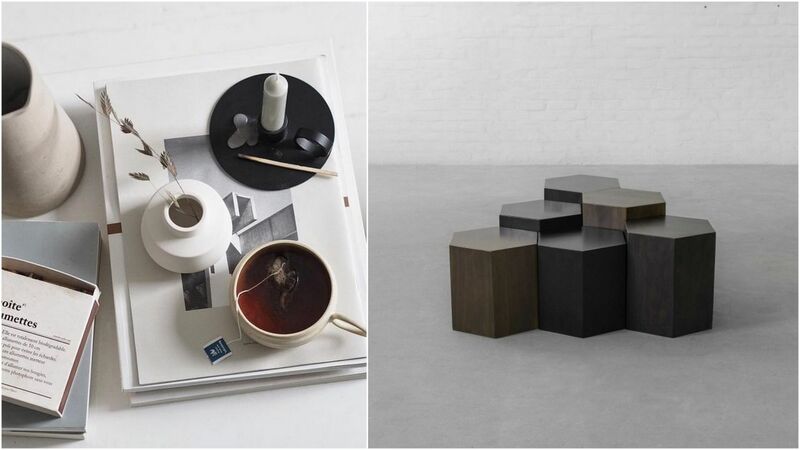 Proudly display your collection on the much-focused coffee table while giving them a modern twist with different accessories, like candles, showpieces and pocket watches, on top of each to give it a unified look. A rather creative and inexpensive way of adding pop of colours that define your persona and blend seamlessly with the interiors! Trying to save an old favourite read from falling apart? Well, preserve them forever by simply plucking out your most loved pages from the book and frame the print. 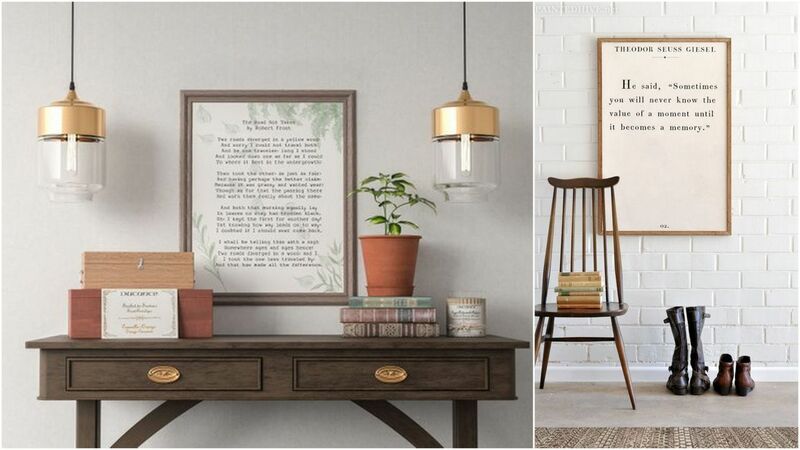 Pages from vintage Encyclopedia’s and illustrated history books can turn out be real pieces of art adorning your home with their vintage appeal and a personal connect.